What is the best way to price the job and bill your client? 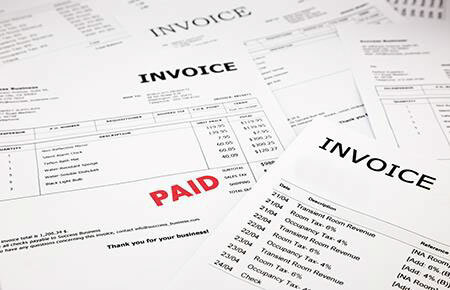 When billing a client, it is common to set an hourly rate, multiply that by the number of hours worked on the file and bill the client accordingly. But technology is reducing the time needed to do many jobs while increasing the need for knowledge, training and experience. Whether “billable hours” continues to be right for your business or you should move to “value billing” is a question worth exploring. Value billing is based on the value of the work to the customer and not on the cost to the vendor of providing the service. The normal way to determine the cost of providing a service is to determine the remuneration needed over the year, add the overhead cost, and divide the sum by the number of hours to be worked. This calculation produces the hourly rate. However, this approach does not establish the value of the task to the customer. say your quotes are too expensive, others accept them. This demonstrates there is little connection between your pricing and what the client sees as value. The reasonableness of the charge will depend on the client’s perception of the value they are receiving compared to the return on their investment. “Value” is thus more than the sum of chargeable hours. The following example illustrates the difference between billable hours and value billing. A client approaches you to complete a task that no one else can do to the client’s satisfaction. The total time taken to complete the task is 400 hours at $40 per hour for a total bill of $16,000. The client is happy because they received “value” for their dollar, and you are happy because you recovered your chargeable hours valued at $16,000. upon your chargeable hours even though you know that the value of the task is $16,000? The question now is: “Should I charge the second client less simply because I am more efficient?” Charging less could effectively misrepresent your sales figures because the efficiencies created as you learn to do the job better reduce the time taken to do the job and should lead to billing less the next time you do the same job. Obviously, you will not be able to stay in business if you progressively charge less because your improved performance means it takes less time to complete your contracts. In reality, because most clients understand they do not have the technical or educational qualifications to do the task (and that is why they solicited your assistance in the first place), they are willing to pay for the value of your services. Discuss processes and benefits with clients. Discuss the process and benefits with each client. For many, this will mean financial savings; for others, it may mean they no longer have to worry about some problem. Listen carefully to your clients so you may determine their expectations. Determine whether specific jobs should be charged a fixed fee or by the hour to save the need to provide quotes on every job. Making this decision in advance will create scheduling and staffing efficiencies for the job. Review past jobs to determine whether value billing would have been the better billing method, given the type of job and the skills used. This analysis should enable you to decide whether value billing would be better for both you and future clients. road may be an issue. Establish a business culture of responding to a client’s expectation of high -quality results. Establish quality control procedures and educate partners and employees that every client must receive highquality service delivered with a positive and professional attitude. Employees who impress your clients will undoubtedly attract additional clients who see value in your business and services. As technology decreases the time required to complete a job, organizations should examine alternate ways of quoting and billing. Internal analysis of the knowledge and experience required to conduct your business, along with the actual time needed to finish the job, should give some guidance to the best future pricing and billing methods. In doing so, your business will thus be able to satisfy a broader range of clients that will appreciate they are receiving value for the dollars spent.